Based on “International codes of best practice” this degree level qualification is recognised globally as the best health and safety qualification available and meets the membership requirements of IOSH for Graduate and Chartered membership. Recommended for general managers in any industry around the world. This course is one of the first steps in starting a professional career in Occupational Health and safety and it support International standards making it a true bench mark in the industry. For people working or wanting to work in the oil and gas industry globally. This qualification provides a great introduction to health and safety within the industry and is recognised as such by almost all major companies in this sector. A valuable qualification to health and safety professionals who have responsibility for fire risk management or who wish to expand their technical knowledge in this specialist area. It will also be a career enhancing qualification for other professionals such as Facilities or Maintenance Managers who also often have fire safety responsibilities. The qualification is widely recognised by the Institute of Fire Prevention Officers. This course is designed for people who have fire safety responsibilities within the workplace, especially those with responsibility for carrying out fire risk assessments and managing fire risks to people and property. It will give you specialist fire safety knowledge which is applicable both to low-risk and high-risk workplaces. This course is designed for supervisors and managers in the construction industries, including civil engineering, utilities and more. It will enable them to understand their health and safety responsibilities so they are able to recognise and manage construction hazards on their sites. It is widely recognised within the H&S and construction industries and professional bodies such as the Association of Project Safety. It is a valuable qualification to people who wish to enter the construction industry at a supervisory level, or for generalist health and safety professionals who wish to expand on their knowledge of construction safety. SHEilds don’t just offer NEBOSH training, check out our full suite of qualifications. This certificate level qualification imparts holders with the core skills to handle and effectively manage environmental issues. The next level-up is the Environmental Diploma and both qualifications are accepted Internationally as the de-facto standard in the field. Ask us a question before you enrol. 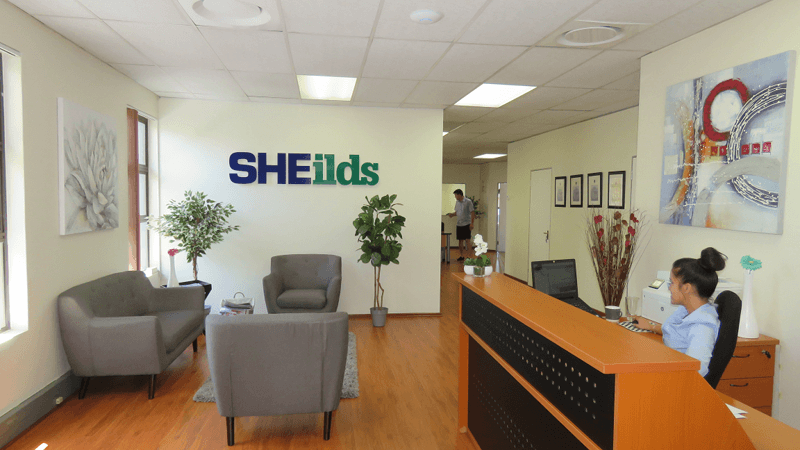 SHEilds South Africa was established in August 2012 when we opened our first office in the business heart of Johannesburg, since then we have enrolled over 3000 students through our NEBOSH, PROQUAL and IOSH e-learning programmes and serviced a range of industries and sectors including construction, mining, oil and gas, fabrication and have become the number one provider of NEBOSH health and safety training to South Africa and the African continent. 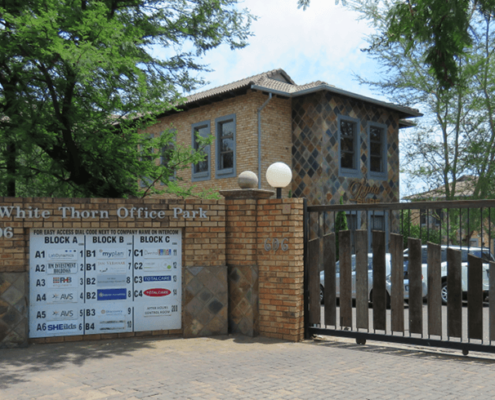 In June 2014 we continued our expansion and relocated to larger offices in Roodepoort where we now have a team of 5 full-time course advisors led by Dwayne Hall to assist you finding the right study qualification and career plan. 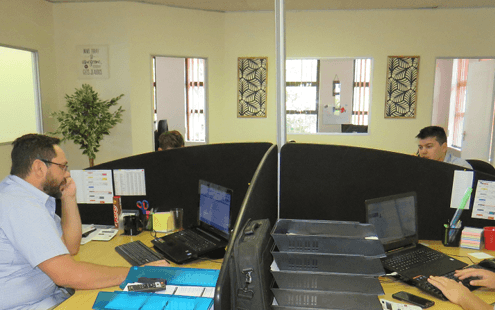 We also have our own in-house finance team managed by Stephanie Harmse and assisted by a team of 3 full-time administration colleagues. SHEilds South Africa serves and covers the full African continent. 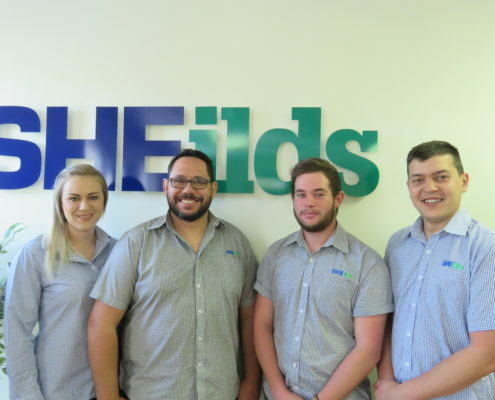 As a global company SHEilds identified the need for a presence and a face to cover the African continent with the aim to give a hands-on commitment to health and safety and through our training programmes create a higher level of education in the health and safety industry, in turn, creating national and international employment opportunities. 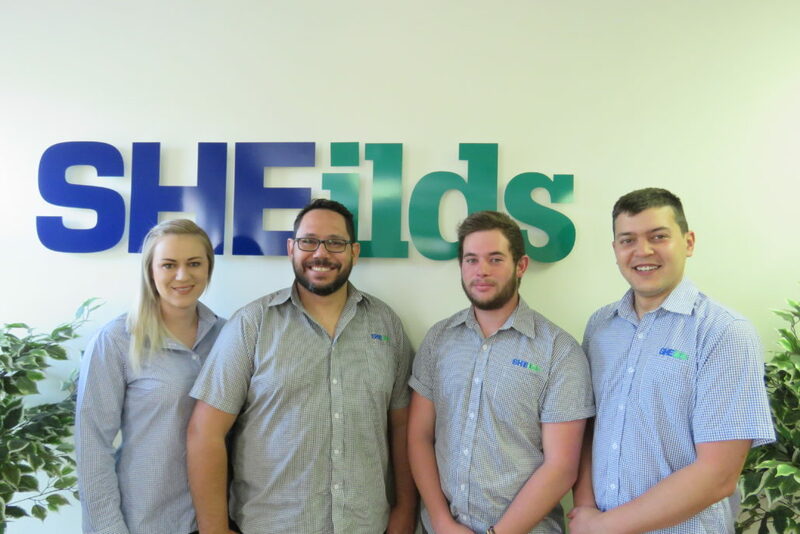 SHEilds South Africa have and can provide exam venues throughout Africa and our experienced and knowledgeable team in South Africa will be delighted to provide you with all the assistance and support you require be it through a telephone conversation or email correspondence. 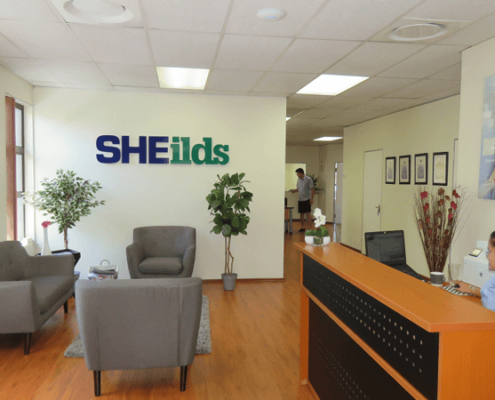 SHEilds Suid-Afrika is gestig in Augustus 2012 en ‘n kantoor in die besigheid hart van Johannesburg geopen, sedertdien het ons meer as 2000 studente ingeskryf vir ons NEBOSH, City & Guilds en IOSH e-learning en ‘n verskeidenheid van nywerhede en sektore insluitende konstruksie, mynbou, olie en gas, vervaardiging. 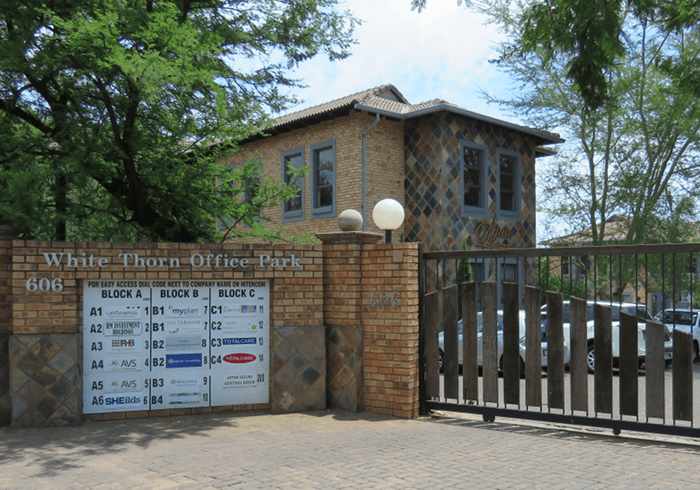 En die nommer een verskaffer van NEBOSH gesondheid en veiligheid opleiding in Suid-Afrika en die Afrika-kontinent. In Junie 2014 het ons uitgebrei en her-geleë na groter kantore in Roodepoort waar ons nou ‘n voltydse kursus adviseur het Dwayne Hall, ons het ook ons eie Suid Afrika finasiële span wat bestuur word deur Stephanie Harmse en bygestaan word deur Gareth Berning. SHEilds Suid-Afrika dien en dek die volle vasteland van Afrika met spesifieke areas gefokus op Suid- en Oos-Afrika, as ‘n globale maatskappy het SHEilds die behoefte geïdentifiseer vir ‘n teenwoordigheid en ‘n gesig op die Afrika-kontinent met die doel om ‘n hand te gee op toewyding aan gesondheid en veiligheid en deur ons opleidingsprogramme te skep ‘n hoër vlak van onderwys in die gesondheid en veiligheid bedryf op sy beurt skep nasionale en internasionale werksgeleenthede. SHEilds Suid-Afrika kan eksamenlokale in Afrika verskaf en ons ervare en kundige span in Suid-Afrika sal bly wees om vir jou voorsiening te maak,en jou te help met enige ondersteuning wat jy benodig, of dit nou deur middel van telefoniese gesprek of e-pos korrespondensie is. تم إنشاء شيلدس جنوب إفريقيا في أغسطس عام 2012 عندما قمنا بفتح المكتب الأول في المركز التجاري لمدينة جوهانسبيرج. ومنذ ذلك الحين قمنا بتسجيل ما يزيد على 2000 طالب على مستوى نيبوش، سيتي & برامج التعلم الإلكتروني لــ جيلدس و أيوش وتخدم نطاق الصناعات والقطاعات بما في ذلك التشييد والتعدين والنفط والغاز وصناعات التجميع وأصبح ترتيبنا كمتعهد هو رقم واحد لـلتدريب الخاص بالصحة والسلامة التابع لــ نيبوش في جنوب إفريقيا والقارة الإفريقية. في يونيو 2014، استمرت عملية توسعنا وإنشائنا لمكاتب أكثر في رودبورت حيث أصبح لدينا مستشارين لدورتين تدريبيتين بدوام كامل وهما/ دانيل دوبليسيل و دوين هول. ولدينا أيضا فريق مالي داخلي خاص بنا يديره السيد/ ستيفاني هارمس، ويساعده السيد/ جاريث بيرنينج. يخدم شيلدس جنوب إفريقيا ويغطي القارة الإفريقية بالكامل مع التركيز على مناطق بعينها في إفريقيا الشرقية والجنوبية، وكشركة عالمية قامت شيلدس بتحديد حاجتها للتواجد والحضور لتغطية القارة الإفريية بهدف مد يد العون والإلتزام بتوفير عنصر الصحة والسلامة، وخلال برامجنا التدريبية قمنا بابتكار مستوى عالي من التعليم في صناعة الصحة والسلامة وفي المقابل قمنا بخلق فرص عمل داخلية وعالمية. تستطيع شيلدس توفير ولديها قاعات امتحان على مستوى قارة إفريقيا، وفريقنا صاحب المعرفة والخبرة في جنوب إفريقيا يسعد بتقديمها إليكم بكل المساعدة والدعم الذي تطلبونه من خلال الإتصالات الهاتفية أو المراسلات عبر البريد الإلكتروني.